In this 12-hour online course, you will learn a strength‐based approach for working with childhood trauma in schools and therapeutic settings that engages the whole child, including their physical, mental and emotional resources to promote healing, develop resilience and support growth. In addition, you'll also gain skills to help you manage your own stress, trauma and post-trauma reactions from personal and professional experiences – benefiting your work, your relationships, and your well-being. This course is particularly useful for teachers, school counselors, clinicians and social service workers, though parents, foster/adoptive parents or anyone working with youth will benefit. No prerequisites or prior yoga experience necessary. This course qualifies for one University of the Pacific (UOP) graduate-level, semester credit. CEUs and/or 12 Washington State clock hours are also available. Certificate of completion is provided and accepted for continuing education by many professional licensing boards. Online, Self-Paced Course with Lifetime Access to Course Materials. 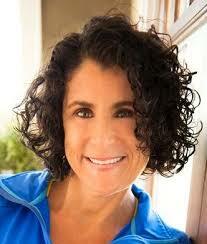 Lynea Gillen, LPC, RYT, is pioneer in the field of health and wellness education for youth. Her heart-centered, creative and effective tools were developed directly from her 40+ years of supporting youth as a school teacher, counselor and clinician. Lynea's Yoga Calm curriculum was developed in a behavior classroom in a rural Oregon elementary school over 17 years ago and has been shared with tens of thousands of teachers, counselors and therapist who work with children around the world in diverse settings such urban classrooms, clinics and psychiatric hospitals like the Mayo Clinic. ​Lynea is also an adjunct professor at Portland State University, Lewis & Clark College, and the University of the Pacific. Her books and media have also won eight national awards. 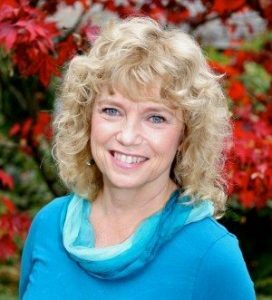 Lynea is a current Licensed Professional Counselor with the state of Oregon, holds an MS in Counseling in Education from PSU and is a registered yoga teacher with Yoga Alliance. Kathy Flaminio, MSW, RYT, is an adjunct faculty member at St. Mary’s University in Winona, MN, a registered yoga teacher with Yoga Alliance, and a licensed social worker with over 20 years of experience. ​She is the owner of 1000 Petals, a well‐being training and consulting company, and works at the University of Minnesota Masonic Children’s Hospital providing yoga‐based therapy in the Child and Adolescent Mental Health Units. Kathy co‐authored the Teen Resiliency Program with Dr. Henry Emmons and Group, which is an integrative skill‐based model to support teens with anxiety, depression and other stress‐related conditions. She currently provides moving and learning residencies in 63 Minnesota classrooms.